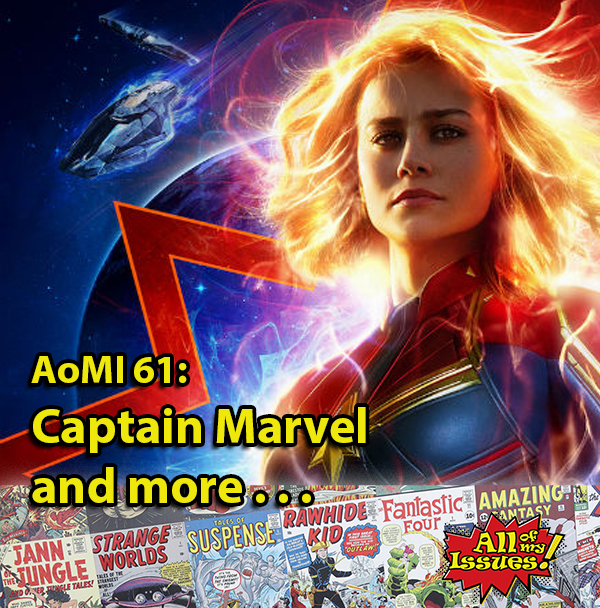 AoMI 61- Captain Marvel – All of My Issues! This episode primarily focuses on Captain Marvel, and the potential repercussions leading up to Avengers End Game. We also mention some other things going on in pop culture, and as usual, our discusses tend to wander around to what ever “pops” into our head.